When businesses, especially those online, want to promote something or gain extra contextual traffic, 9 times out of 10 they will look to PPC. A further 9 times out of 10, they will look specifically to Google’s AdWords. There is a reason why this is the case. Google’s PPC platform is a extremely effective way to gain contextual traffic at an affordable price. However, should you plant all your eggs into one basket, when it comes to advertising and marketing online? Should you invest all of your budget into a PPC campaign or use different sources of advertising/traffic generation to gain traffic to your landing page? A/B testing with just PPC is limited. The truth of the matter is that your target market might not be looking to convert using Google. For example, if you are a clothing store, Instagram sponsored adverts might work better than PPC. If you use solely PPC, you will never know this. You will never be able to compare the results you gain from PPC against other forms of advertising. Due to this, it will be impossible to say if your advertising campaign is running at its most efficient return on investment (ROI). 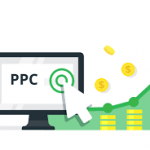 Is PPC suited to your conversion? PPC is great for selling certain types of products/services and sharing certain information. However, is it the best for promoting a trailer for a new movie? Would YouTube advertising be better for this? Would sponsored articles be better for new products that don’t have well known brand names? Would protein drinks and clothing be better surrounded by Instagram body builders and models than PPC? Possibly. PPC is a good platform to use for the mass. But, if you want to maximize your results, learn exactly what your target market is using to interact with your industry and advertise on that platform on top of PPC to produce synergy results. The more ways your audience sees your campaign on different platforms, the more likely they will convert. PPC is the best, specifically Google AdWords. Millions of people worldwide are not making mistakes in using Google AdWords. They use it because it does exactly what it says on the tin extremely well. As well as this, it’s never been a better time to use Google AdWords, as we move into the artificial-intelligence era and machine learning. Saves you time and effort. If you have multiple channels to generate traffic from and maintain, things can get quite messy quite quickly. For example, if you wanted to introduce a discount code for a limited time to your marketing campaign, you’ll have to update it manually for every platform you are using for advertising purposes to propagate the change out – if you only used PPC, this would be done once.